Trustworthy armour is always necessary when adventuring through a LARP kingdom, especially when it comes to guarding your limbs. 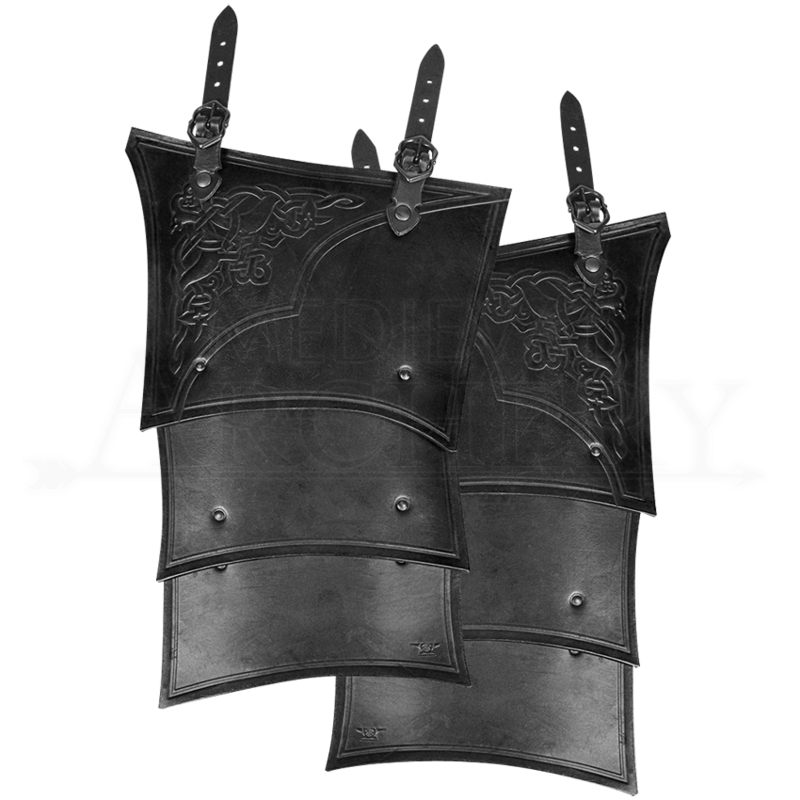 Reinforce the style and defense of your roleplay character by adding the Celtic Mantikor Leather Tassets. This thigh armour is crafted from three riveted segments of high-quality leather. An antique patina finish and embossing enhance its style, while its layered design offers increased deflection. Celtic knots decorate one corner of the uppermost segment. Offset trim details the edging. Each tasset is fitted with two adjustable buckle straps for easy attachment to a cuirass or belt.